As one of Scotland’s most vibrant and dynamic cities, Glasgow offers nothing but unique Scottish charm and beauty. Voted the world’s friendliest city, Glasgow makes the perfect location for a trip away. 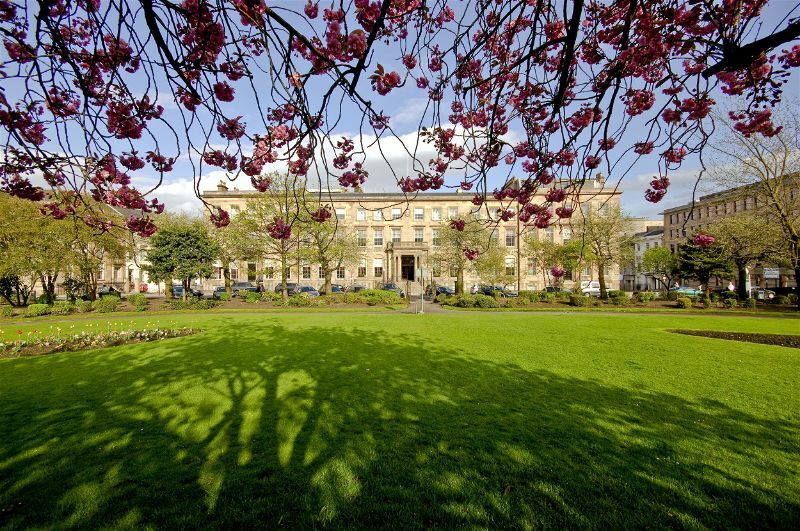 Located at one of the most prestigious addresses in Glasgow, the Blythswood Square Hotel overlooks a stunning private garden and hosts a number of first-class facilities, making the perfect luxury hotel for your trip to Glasgow. 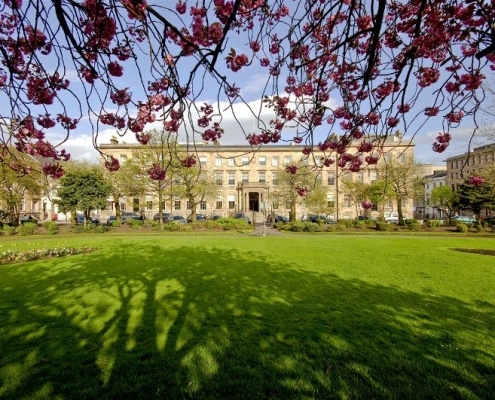 With its Georgian façade and grand exterior, the Blythswood Square Hotel has a wealth of history. 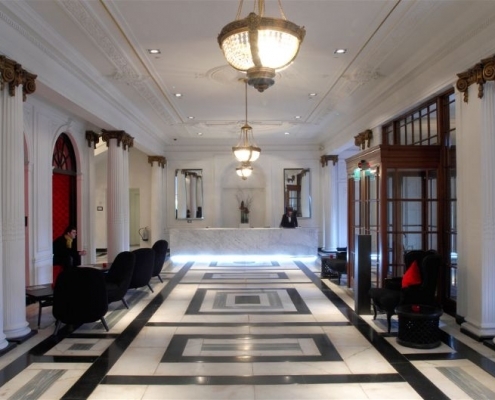 Originally home to wealthy merchants back in the 19th century, then later to the club headquarters of The Royal Scottish Automobile Club (RSAC), this hotel has stood the test of time and has now been transformed into one of Glasgow’s most luxurious 5-star hotels. 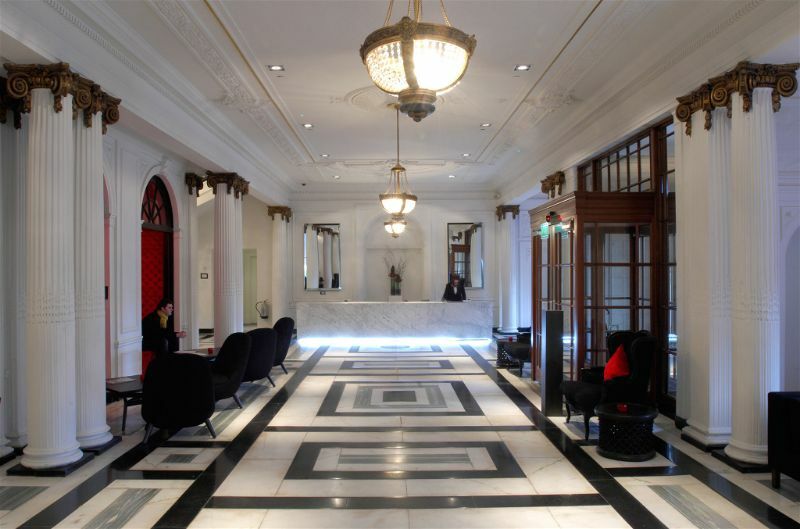 Featuring marble floors, authentic fireplaces, lavish ceilings and rich wood panelling, the Blythswood Square Hotel is nothing short of luxury. From beautiful guest rooms to the stunning executive suite, this hotel provides the utmost indulgence to all of its guests. Offering more space than the Guest Room, the Superior Room at the Blythswood Square Hotel is the perfect space to relax after a day of exploring the city of Glasgow. With modern amenities in a sophisticated setting, the Superior Room is sure to enhance your stay in Glasgow. 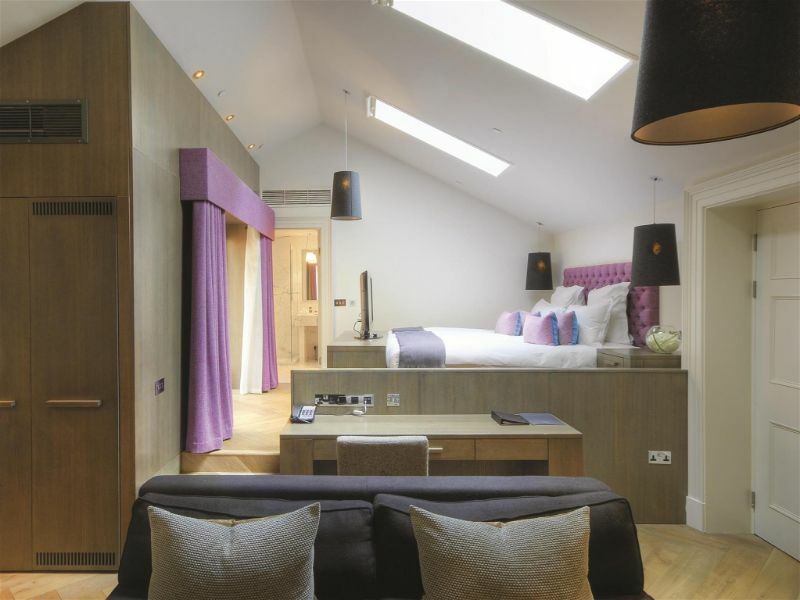 New to the Blythswood Square Hotel is the luxurious two-bedroom penthouse suite. With the hotel’s recent multi-million-pound refurbishment and over £650K being invested into this suite, the penthouse is sure to take your breath away. 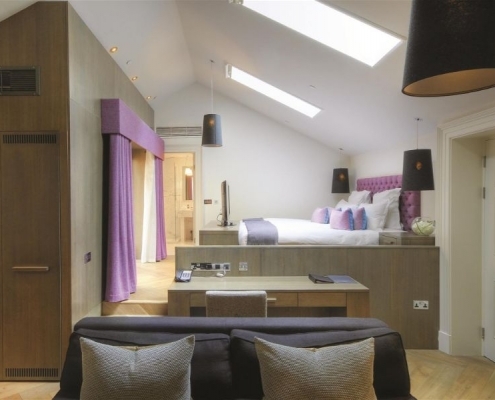 Featuring a spacious master bedroom, walk-in wardrobe, ‘spa’ bathtub and even its own private roof garden, the penthouse suite is the ideal space for you and your guests. The former RSAC ballroom has been transformed to boast a vibrant yet elegant restaurant that serves seasonally chosen and locally sourced dishes, which are inspired by the Scottish classics. Reflecting its history with rich tweed furnishings, private booths and intricate details, The Restaurant at the Blythswood Square Hotel is the perfect setting to enjoy some of the finest Scottish cuisine the city has to offer. 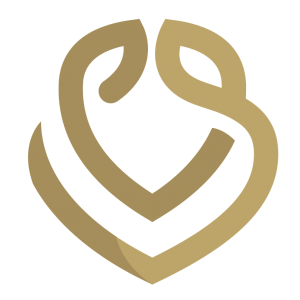 Previously rated as one of the best bars in the world by Class Magazine, The Salon shares its space with The Restaurant, creating a never-ending buzz and lively atmosphere. Guests can sip upon the Salon Bar’s renowned cocktails or delve into a delectable afternoon tea whilst soaking up the hotel’s grand surroundings. Providing lighter snacks and tasty treats, the Salon Bar is the perfect place to spend a relaxing afternoon with family or friends. A stay at the Blythswood Square Hotel is certain to make your trip to Glasgow even more memorable. Bask in indulgence with a night or two at Glasgow’s most luxurious hotel.